The actor Yamamura Giemon I held this name from the 11th lunar month of 1712 to the 10th lunar month of 1715, then from the 11th lunar month of 1723 to 1728 (?). The actor Yamamura Giemon II held this name from the 11th lunar month of 1779 to the 10th lunar month of 1781, then from the 1st lunar month of 1784 to the 1st lunar month of 1803. Dates of birth and death unknown. He started his career in Kamigata (as a disciple of Arashi Hinasuke I ?) and his first stage names were Arashi Matsujirô II and Arashi Heikurô. 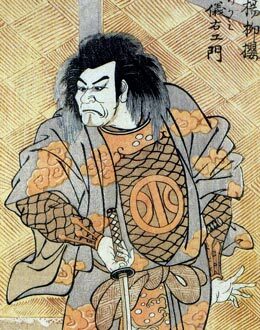 He went to Edo in Fall 1805 and took the name of Yamamura Giemon III in the 11th lunar month of 1805 at the Kawarasakiza, performing in the kaomise drama "Chô Hanagata Koi Muko Genji". 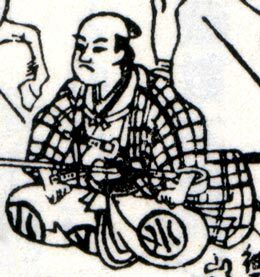 He went back to Kamigata and traveled back to Edo in the 1st lunar month of 1810, along with Ichikawa Ichizô I, Fujikawa Tomokichi II, Asao Yûjirô I, Ôtani Monzô I, Kanô San'emon II, Sanjô Namie II, Ichikawa Tsurusaburô I and Bandô Nariemon. This minor katakiyaku played in the 4th lunar month of 1811 at the Moritaza, the role of Ono no Kudayû in the drama "Kanadehon Chûshingura". He disappeared from the record after this date.